Welcome to Meridian Tower, Kirra, Australia. 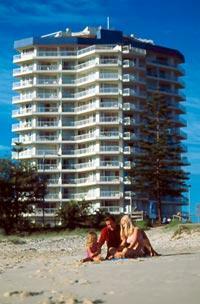 Meridian Tower is a landmark holiday address on the Southern Gold Coast. 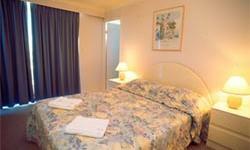 Featuring genuine spacious beachside Apartments overlooking world famous Kirra Beach. 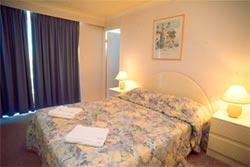 Meridian Tower Apartments are quiet, relaxed, opposite the golden Kirra surf beach. RACQ rated 3 1/2 Stars. 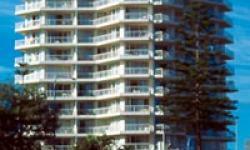 Surfers Paradise, to the north and Coolangatta, Tweed coast a few minutes drive to the South. 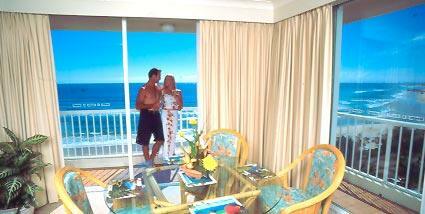 Sit on the spacious balconies of the Meridian Tower overlooking the beautiful Kirra Beach and the Pacific ocean. The Meridian Tower guest facilities include a heated outside pool, heated spa, full sized private tennis court, games room, sauna and BBQ set in beautifully landscaped gardens. Apartments are available in several configurations with options for up to two bedrooms and two bathrooms (en-suite to main bedroom). The position and location of these Apartments is fantastic. Walk over to the amazing Kirra Beach and clubs, restaurants, shops and only few minutes in the car or bus to the great Coolangatta, Tweed Heads shopping centre cinema's, restaurants, coffee shops, clubs and bars.